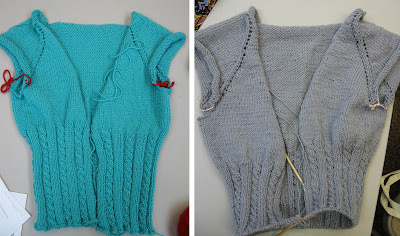 The last "My First Sweater" workshop lesson was today. 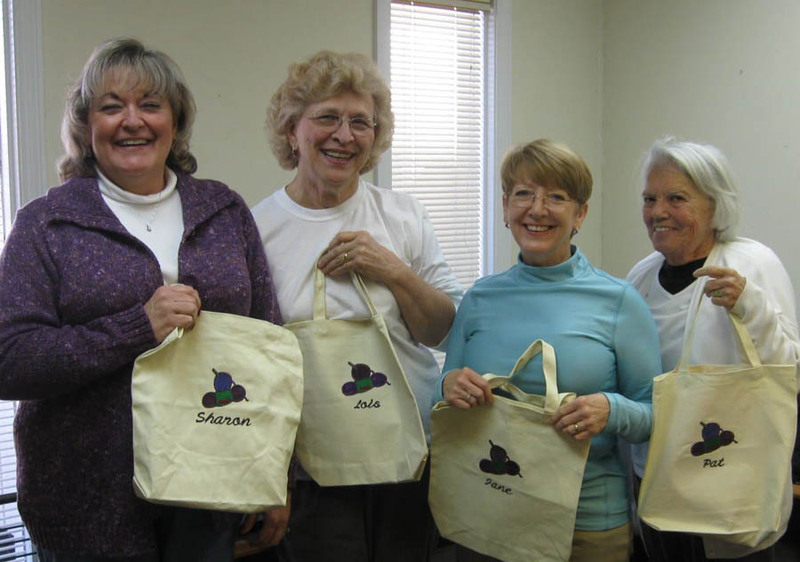 To our pleasant surprise, we were all treated with an embroidered tote bag that was personalized with each of our names. The totes were made by Sharon, one of the participants, and are perfect for any knitting WIP (work in progress). I always say, "You can't have too many projects or too many tote bags!" The Sweater Gals (from left): Sharon, Lois, Jane and Pat. 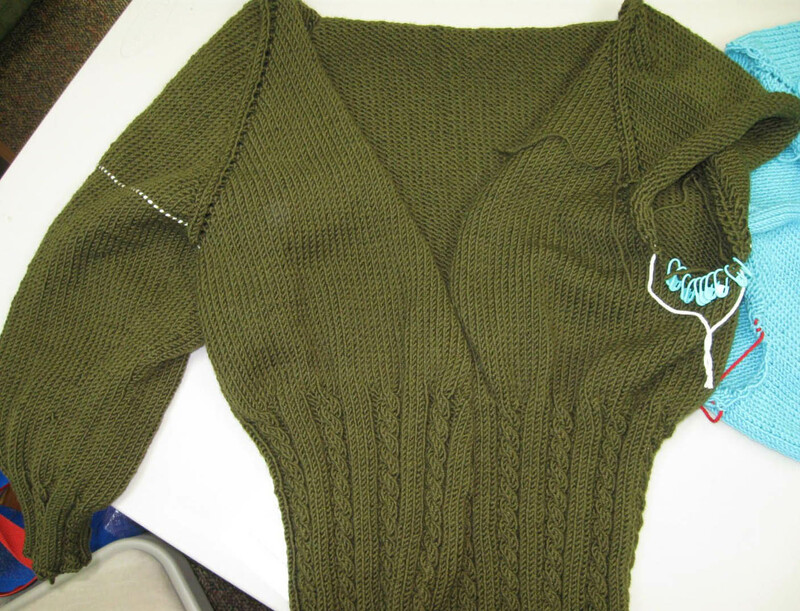 Here is the progress made on each of their versions of the Mr. Greenjeans sweater. The cabled ribbing is textural and quite striking knit with this multi-ply yarn (Fibra Natura Sensational). Several students commented on how easy and wonderful the yarn was to work with. 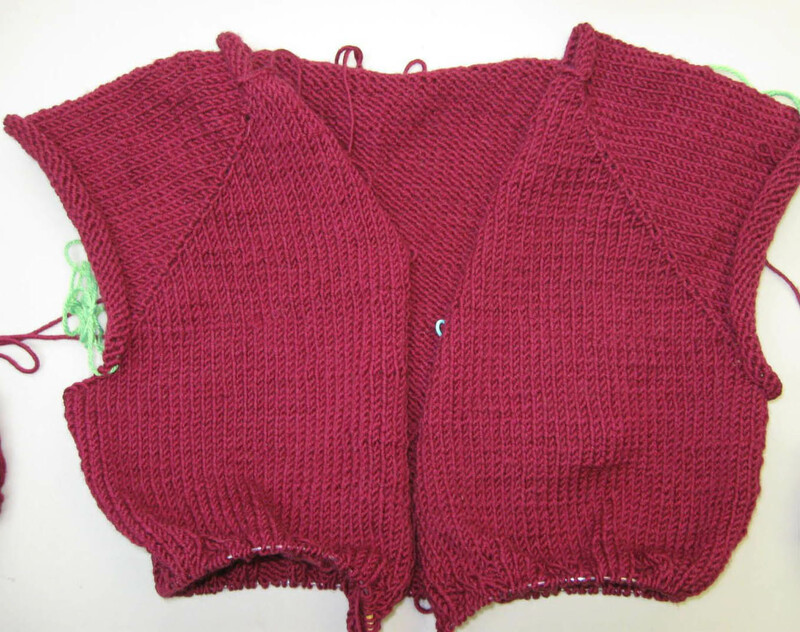 They all enjoyed working with this sweater pattern. Several techniques were introduced to the first-time sweater knitter that could be mastered with a little confidence and perseverance. The pattern offered a challenge and held one's interest without being overly complex. If a mistake occurred along the way (we all know this can happen), it was not difficult to correct. A 2 x 2 rib shawl collar will be added to cascade down the sweater front. The hunt for a single or multiple buttons is underway. The WIP shown below is mine. My students have all surpassed me on the progress. 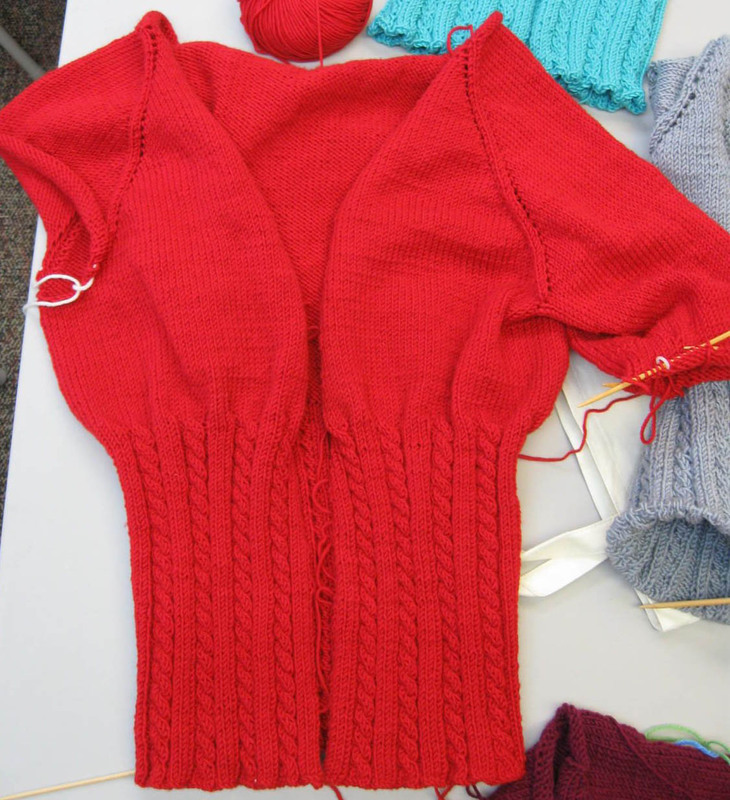 When the sweaters are complete, we'll be headed out to lunch to show them off. I can't wait to see the final outcomes. Beginning Knitting class starts tomorrow evening. 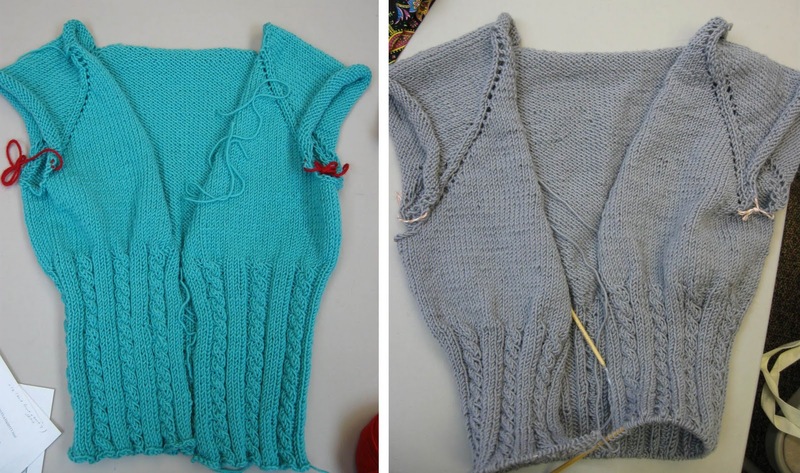 Here's hoping there will be future sweater knitters in this class.